Reproduced by permission of Omnibus ; abridged by Gideon Nisbet, 1997. Once it had walls three miles round, with five or more gates; colonnaded streets, each a mile long, crossing in a central square; a theatre with seating for eleven thousand people; a grand temple of Serapis. 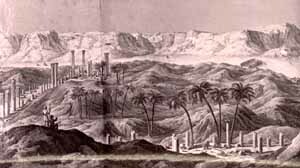 On the east were quays; on the west, the road led up to the desert and the camel-routes to the Oases and to Libya. All around lay small farms and orchards, irrigated by the annual flood  and between country and town, a circle of dumps where the rubbish piled up. 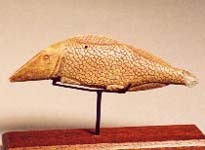 The citizens of this county town, five days journey by road (ten by water) south of Memphis, called it Oxyrhynchus, or Oxyrhynchon polis , City of the Sharp-nosed Fish. 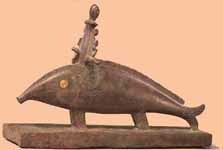 The fish was sacred: the Greek settlers after Alexanders conquest adopted Egypts sacred animals alongside their own gods. The descendants of these settlers ran Egypt for a thousand years, right down to the Arab conquest. In their towns they spoke, wrote and read Greek; worshipped their fish and learned their Homer.